What would you do if one day a newborn baby was put on your hands and said: take it or leave it. Documentary about a wise aging priest. In the midst of Stalinist tyranny, six-year-old Leelo's mother is sent to a prison camp. Haunted by her mother's last words telling her to be a good kid, Leelo vows to be on her best behaviour in the confusing grown-up world in the hope that it will bring her mother back. Leelo: What does this 'comrade' mean? Feliks: Comrade is... a respected person. 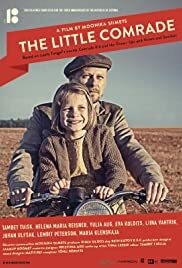 'The Little Comrade' is one of the best made recent Estonian films. Cinematography, editing, direction, soundtrack and of course, the acting, are all top notch. The screenplay itself is simplistic, but never sappy or too bathetic. There are certain amount of naivety, but that is because the story is told through the eyes of a child. 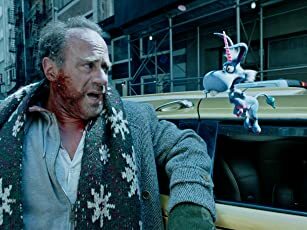 Still, underneath the colorful cinematography and simplicity, the looming terror and crouching tragedy can be felt present. Pleasent, but never simple film about not so pleasent times in history. There are enough (great) films about deportation that are depressive and hard to watch, so it was actually quite refreshing to see lighter (but not simple or silly) view on these dark times.